KAMPALA – Buganda Road grade one magistrate Ms Gladys Kamasanyu has declined to hear an application in which the embattled Makerere University researcher fellow Dr. Stellah Nyanzi is seeking for an order for the prison authorities to release her medical documents. Nyanzi had requested for the order so that she gets post-abortion care in light of a miscarriage she suffered recently. She also told court that she needed to see a private doctor because the prison authorities do not believe that she lost her baby. “Your worship I need all my medical and antenatal records which the prison authorities concealed so that I can have proper treatment, after all, I went through and minus this my doctor has nowhere to start from. I am not ready to lose my uterus as well,” Nyanzi told court. However, the trial magistrate declined to make the order saying that she cannot entertain a new application before making her decision on the earlier one. Last year in the first application, Nyanzi through her lawyer Isaac Ssemakadde had objected to the hearing of her case in which she is facing charges of cyber harassment and offensive communication saying that the charges were defective. Ms Kamasanyu also noted that this kind of application must be put in writing in order to give a chance to whoever is being accused of concealing the said documents to respond. This has sparked off an exchange in court between Ssemakadde and the magistrate with the lawyer accusing her of being insensitive to the needs of a fellow woman and human rights at large. At this point, the magistrate warned Ssemakadde to tame his behaviour and that of client adding that she will not allow certain words to be uttered in her court. 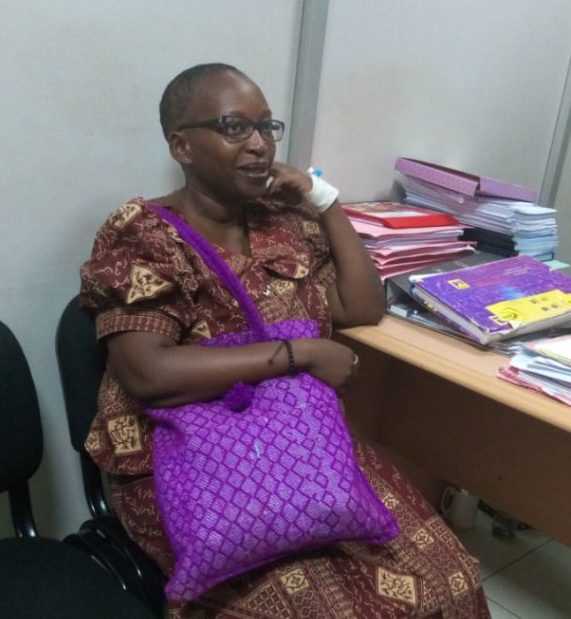 However, Nyanzi told the magistrate that she is not returning to the prison sick-bay for fear of losing her uterus to the state yet she must stay in jail until her case is finally disposed off. Earlier, the resident state Attorney, Ms Janet Kitimbo maintained that the two charges against Nyanzi were sanctioned and drafted in accordance with the Law. Nyanzi has been remanded until the January 17 for her lawyer to make response to the state submissions regarding the legality of the charges that he wants court to dismiss. It is further stated that on the same day Nyanzi used electronic communication to post messages offensive in nature via Facebook, transmitted over the Internet to disturb or attempted.